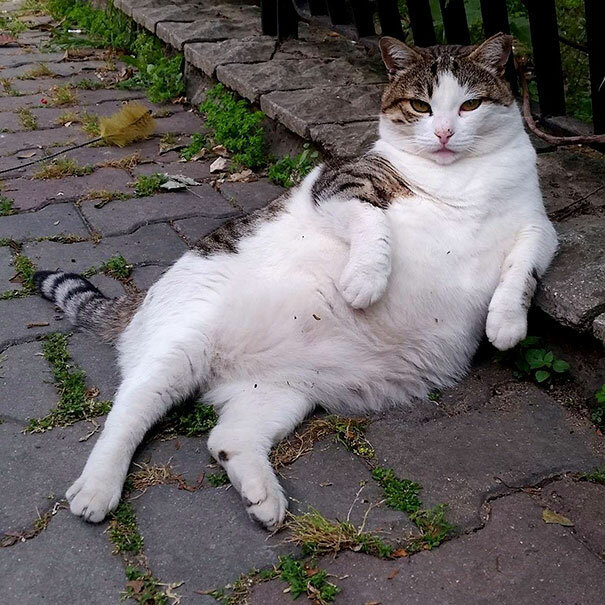 Tombili (a Turkish nickname meaning chubby pet) lived on the streets of Kadıköy, a district of Istanbul. He was a friendly kitty and residents obviously enjoyed his company too and no doubt contributed to his portly girth. 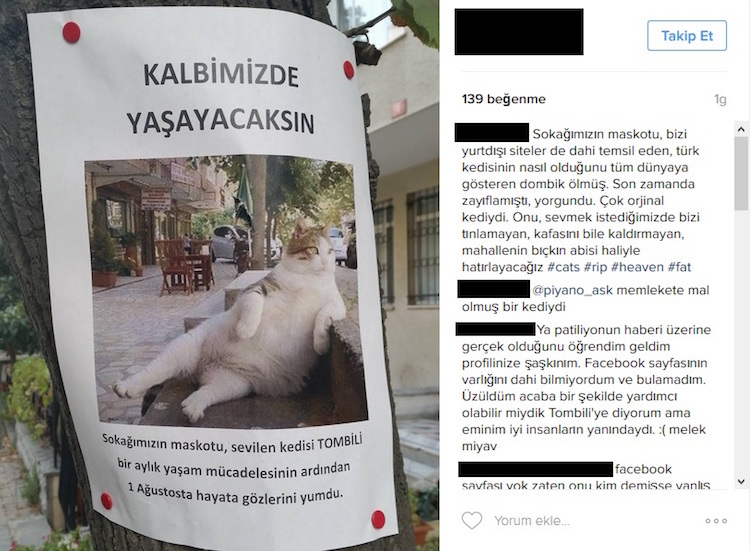 Tombili loved reclining against pavements or steps to watch the world go by and a photo of him posted on social media made him famous enough for visitors from across the globe to visit the Kadıköy district to meet and chill with him. Of no fixed address, Tombili became ill and passed away in August 2016. Those who knew him well were heartbroken and wanted to keep his memory alive in some way. 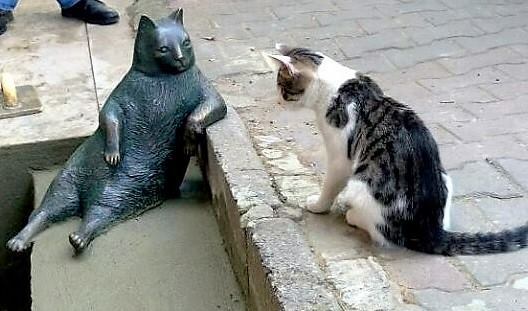 The community realised the flyers would not last and thought a statue of their beloved friend would be more appropriate that all who knew him could visit. A change.org petition which gathered 17,000 signatures asking the Kadıköy Municipality to officially commemorate Tombili’s contribution to public life. 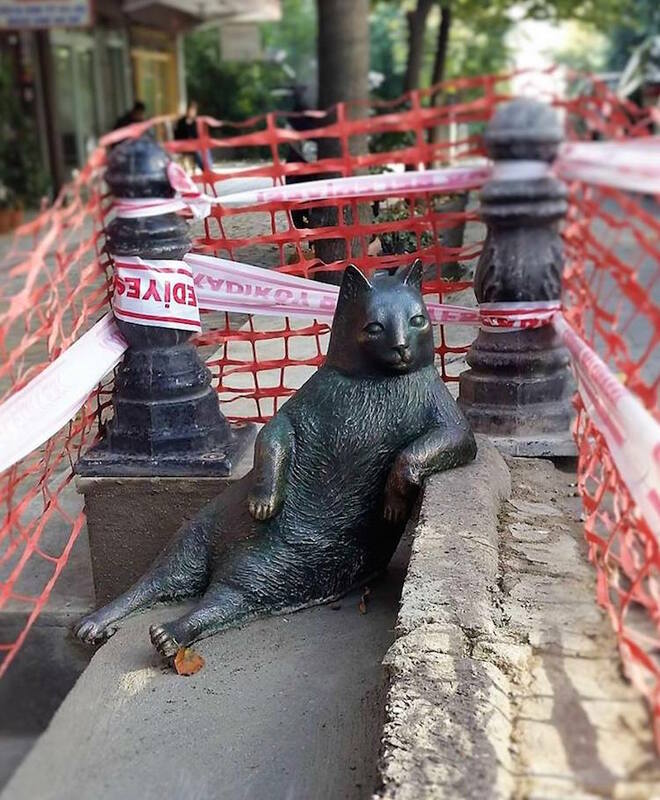 The Municipality agreed and local sculptor Seval Şahin was commissioned to make a bronze sculpture recreating Tombili’s famous reclining pose. 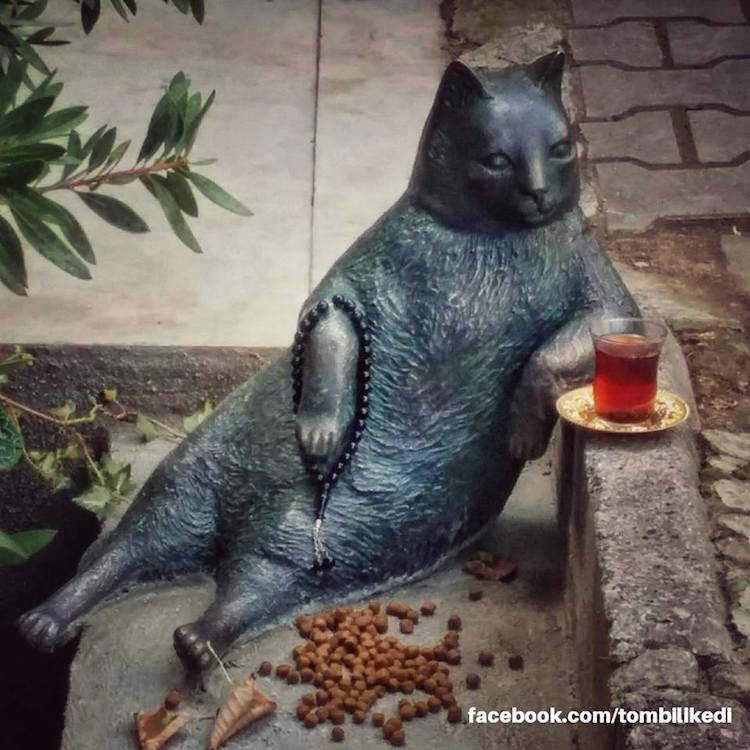 On World Animal Day, 4 October 2016, Tombili’s statue was inaugurated with hundreds of people attending to pay their respect and leaving candles, cat food and flowers. 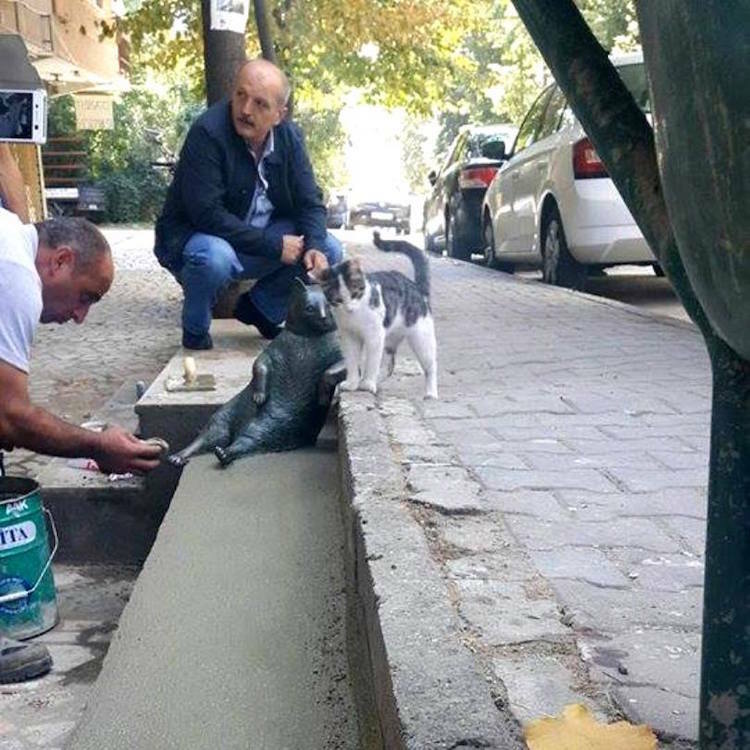 The event was covered by Turkish TV and deputy mayor of Kadıköy thanked the animal lovers of the area for making the memorial possible. The people of Istanbul’s love cats and the city is home to hundreds of thousands of strays which are well looked after by locals. One Turkish saying says it all: “If you kill a cat, you need to build a mosque to gain God’s forgiveness,” According to folklore, the saying refers to a tale of the Prophet Mohammed’s favourite pet, a cat called Muezza when the Prophet cut the sleeve off his prayer robe rather than disturbing the cat sleeping on it.